It should be a great evening for two great causes! Bring your chairs and your blankets sit out in the sun and enjoy a great night! 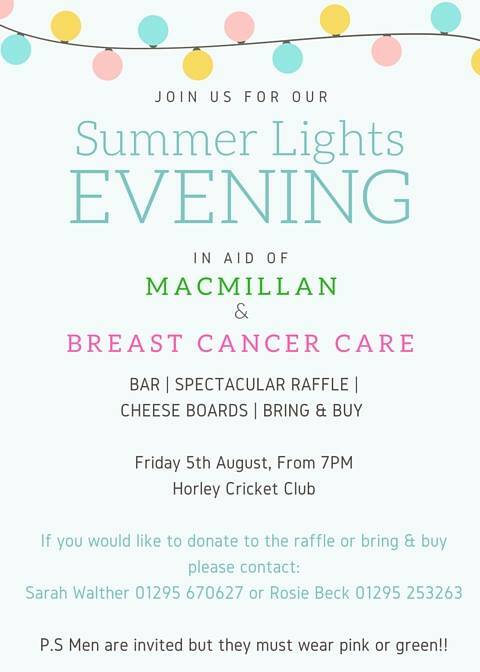 This entry was posted in Activities and tagged Breast Cancer Care, Bring & Buy, Cricket Club, Macmillan on July 14, 2016 by thehorleyviews.